The world has gone video crazy. As you sit there reading this, millions of people are watching online videos. Indeed, for every minute of the day around 3.5m videos are being watched. At the same time, around 300 hours of new videos are being uploaded. And they are just the statistics for YouTube, which only has around 55% of the online video market. However, there are other data which need to be considered. It’s all very well quoting raw statistics of the number of videos watched – but that only tells you the number of videos that were started. What’s more important to understand is how much of each video is being watched. After all, if you go to the trouble of producing a video and people give up before it is finished, then you have wasted your time and effort. Luckily we now have some research on business video – and it doesn’t make for entirely good reading. The research is pretty solid as it based on the viewing data from over 250,000 videos and 600m video streams for 500 businesses. This isn’t a small study on a handful of videos from some video marketing guy. This is just one example of how statistics can mislead. Companies may be under the impression that their business videos need to be mobile friendly when specific information shows that this is far from the case. So, what other general views about online video could be misleading businesses? The research shows that the average length of a business video is eight minutes. However, the study also revealed that 58% of people who are watching those eight-minute videos do not make it past the first 50 seconds. In other words, 90% of the average business video is not being watched. Many businesses understand that short videos are probably a good idea. This is backed up by the study that shows most business videos are viewed early in the morning on a desktop computer. This suggests that people are looking at online video as they start their business day in the office before they get on with any proper work. However, even for 90-second videos only just half of viewers are making it all the way through. What the study reveals is that the vast majority of business videos online do not get watched all the way through. Given that so much video is being produced by businesses and so little of it is actually being completely watched, you have to ask what is the return on the investment. All of that money spent on scripts, recording and the time committed to hours and hours of video that never gets looked at is clearly a waste. Not only that, it is also wasting staff time. They are coming into the office and watching only parts of videos for a total of around 40-minutes each day. In other words, they are flitting from partially watching one video to only looking briefly at part of another one, and so on. How productive is that? Engagement in online business video is much lower than you might think. Business owners need to carefully calculate the return on their investment both for producing videos and encouraging staff to watch them. 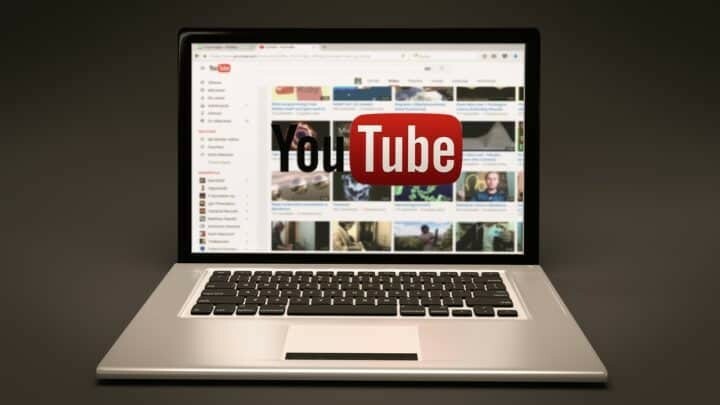 If video is an important part of your business, then perhaps you need to ensure you have a good script so that people will be likely to watch until the end. New research suggests that to truly engage people your video needs to fire their imagination. Video is, first and foremost, content. The content you create for your audience must be engaging, entertaining and targeted toward your direct audience. As you create your video marketing strategy, it’s important that you fully understand the following. Know Your Audience: It’s important to know who your audience is and what they care about so that you will have a good idea of what their reaction will be to your message, in advance. By getting to know the audience you’re serving, you will have a good idea of what their problems are, how you’ll solve them, and how you should deliver the solution. Clear Point: Before you start making the video, you need to understand exactly what point you want to make with it. Being clear about the message will help you keep the video short enough to hold your audience’s attention while giving them the information they want. The worst thing you can do in a video is start without any plan whatsoever because you may tend to talk too much, or even forget the entire point. Plan Ahead: Never try to do a video without having a plan in advance. You want to write out an outline and a script. You don’t want to read the script, but you do want to know what points you’ll cover to get to your call to action seamlessly. The best way to do it is to create a storyboard. Energetic Enthusiasm: One way to make your video more enjoyable is to ensure that you are energetic during the video. Whether it’s a voice over, or a talking head video, you must project confidence and energy in the video. There are a number of ways to make your videos appear more energetic and engaging. Move around before the video to get your energy up, dress the part so you feel good. Your confidence will come across in your voice and appearance. Take Calculated Risks: Taking some risks in your videos will help your audience connect with you. Consider making a controversial video about an issue that you and your audience care a lot about. You may want to disagree with a guru or with conventional business. Taking risks helps to bring you more brand awareness by increasing your chance to go viral. But do it with caution. Enthusiasm is certainly a crucial element to creating a video that people engage with, as how can you expect them to be enthusiastic about your content if you can\’t be? We\’re only recently beginning to branch out into creating video content, but what i\’ve found so far is that if you keep it simple and concise then it\’s easy to get your message across.